After years and years of reading design magazines and attending design trade shows, I have seen a lot of innovative ideas and I have seen even more things that are called innovative but are really just knock offs or a redux of an earlier innovation. These days, it takes a lot for me to see something and say ‘that’s incredible!’ Today, as I was flipping through a construction magazine, I had one of those moments. I came across this bicycle, made by a gentleman in Isreal – Izhar Gafni – who fabricated it from $9 worth of cardboard and some recycled parts for the brakes, pedals and tire rubber. It is waterproof, fireproof and holds a rider up to 485 pounds. It has the potential to turn the commodity bicycle business on its ear. To that I say “that’s incredible!” Thanks Izhar! 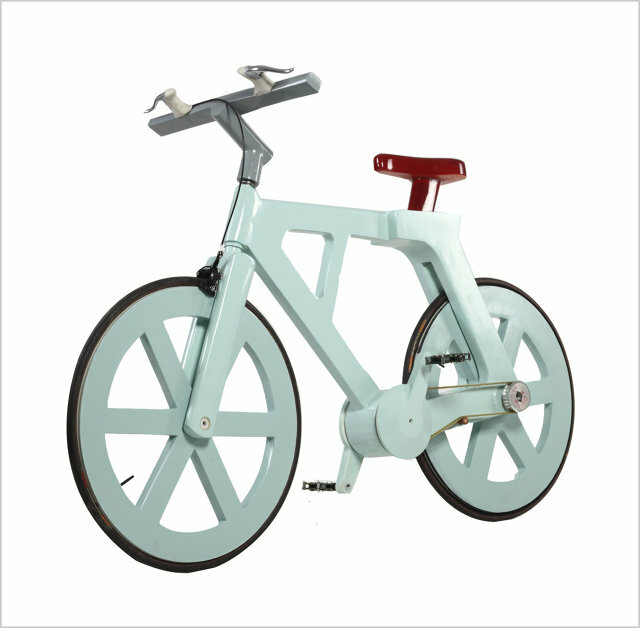 This entry was posted in Design and tagged bicycle, cardboard, design, innovation. Bookmark the permalink.